Sterling silver from the top to the bottom. 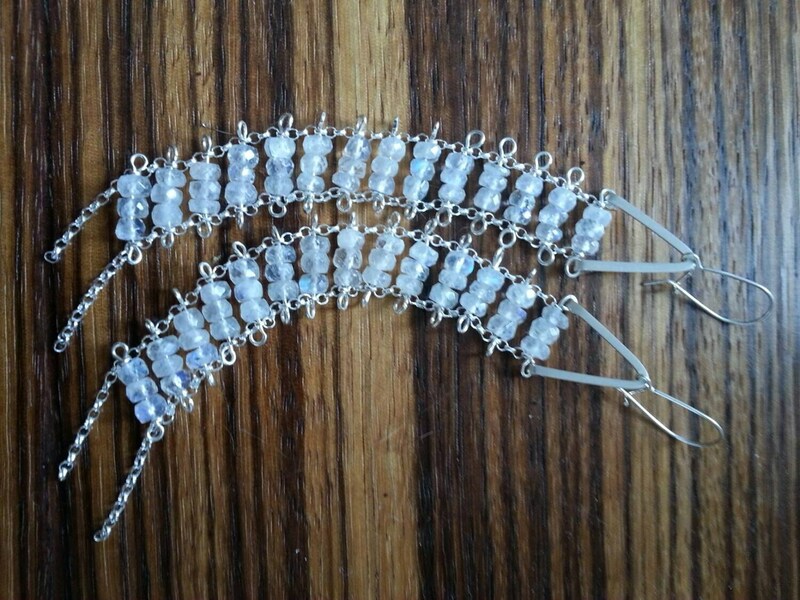 Sterling silver kidney shaped ear wires. Hand formed flattened triangle shape. 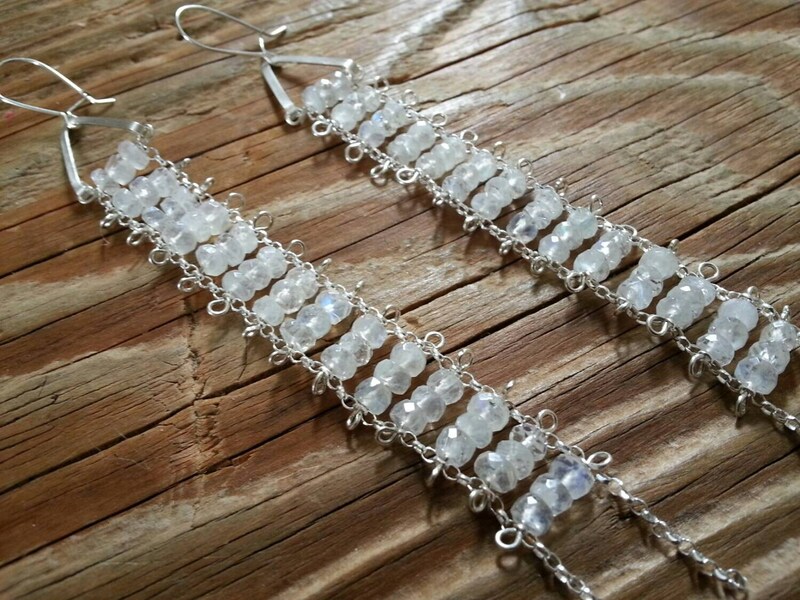 Sterling silver rolo chain strung with gorgeous quality moonstone beads on pieces of sterling wire. Ends with little bits of bare chain. 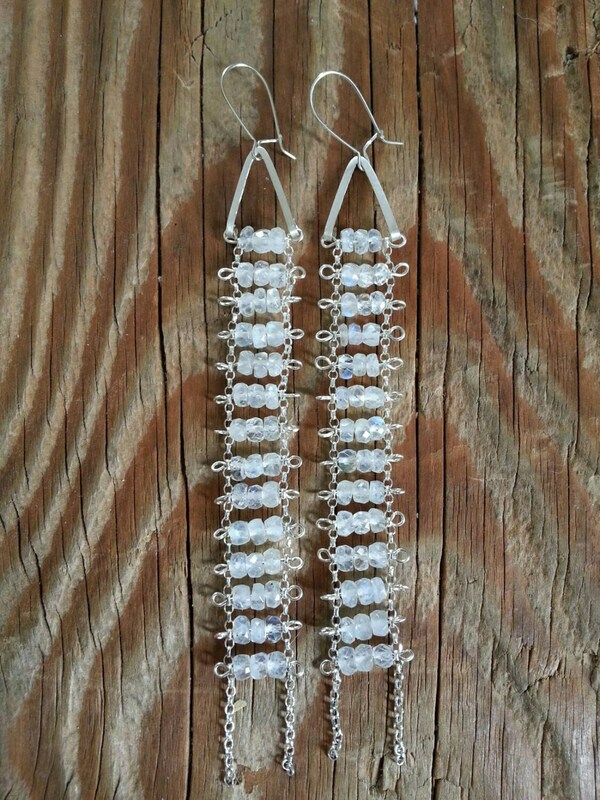 These are very fluid earrings, not stiff. They have great movement and are lightweight. 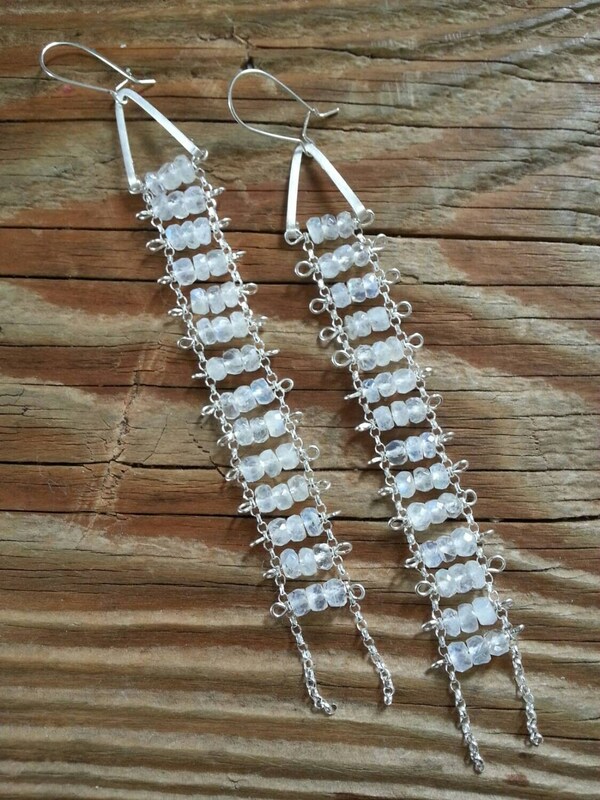 Total length including bare chain is 4-3/8" long.